Lois B. Gustafson, 95, formerly of 344 Looker Mountain Trail, passed away Wednesday, September 5, 2018, at Bradford Regional Medical Center. Born October 5, 1922, in Herkimer, NY, she was the daughter of the late William and Rose (Coffin) Barber. On August 6, 1949, in the First Baptist Church in Bradford, she married Gerald N. Gustafson who survives. Lois attended Roberts Wesleyan College and was a member of the musical group there. In 1948 she graduated from Bradford Hospital School of Nursing. She was a teacher at the Bradford Hospital School of Nursing, and later worked as a Registered Nurse at Bradford Hospital. She retired from McKean County Visiting Nurses Association. She was a member of the Sawyer Evangelical Church and was active in church council, choir, pastor parish relations committee, and served as the Children and Youth director. In addition to her husband Gerald, of 69 years, she is survived by four daughters, Marcia Gustafson, of Bradford, Betsy (Jim) Livingston, of Bradford, Gretchen (Benjamin) Banks, of Camp Hill and Norma (Mike) Miller, of Mechanicsburg, 10 grandchildren and 17 great grandchildren. She was preceded in death by one grandson, Jim Livingston Jr., three brothers and one sister. Family will be receiving friends on Saturday, September 8, 2018 from 1:00pm to 3:00pm at the Sawyer Evangelical Church, 777 South Kendall Ave, Bradford, where funeral services will be held at 3:00pm with Rev. Robert Brest, pastor of the First Free Methodist Church, officiating. Burial will be in McKean Memorial Park. Memorial contributions, if desired, may be made to the Sawyer Evangelical Church. I''m sorry for your loss. May the God of all comfort be with you during this difficult time. You have my condolences. Gustafson family, so sorry for your loss. 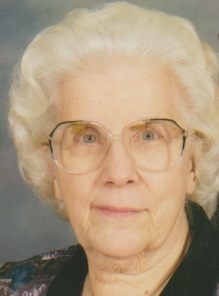 Lois was a dear, sweet lady. May God comfort you and give you peace.